41,45 € 41.45 tax incl. 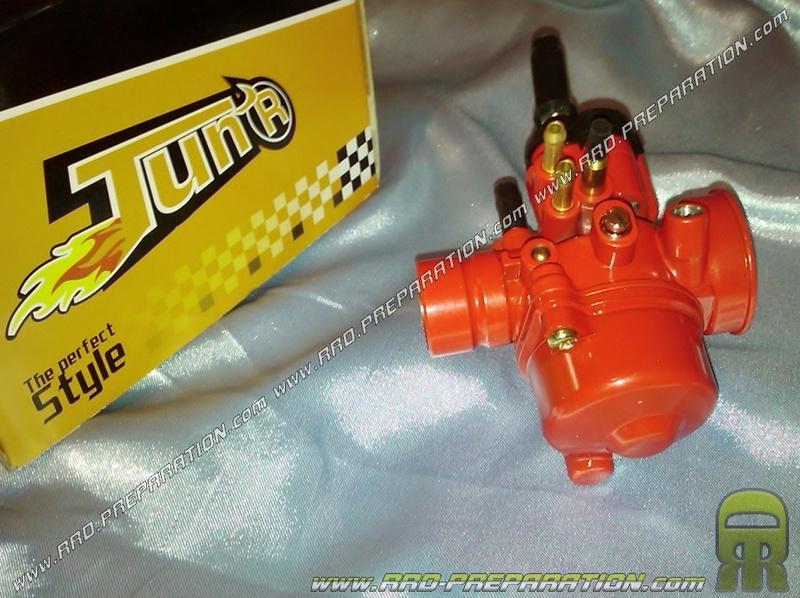 Here is the carburettor Ø17,5mm from TUN'R by YSN, model PHVA type Red Edition. This carb has the aesthetic racing has a separate grease outlet and depression but also 2 connections that you can link to the cylinder head on liquid-cooled engines so that the carburetor does not freeze in very cold weather, delivered with shutter so no obligation to use them! Equipped with an automatic choke and its mounting is flexible for female intake pipe or flexible sleeve. 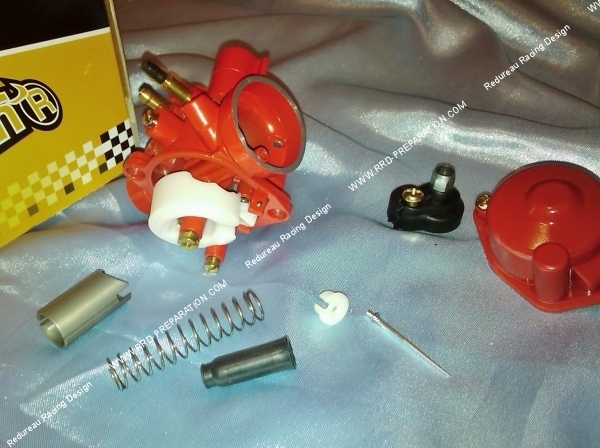 This carburetor PHVA will be able to mount on your mopeds 103 / MBK 51, mécaboites and scooter, to you to adapt it appropriately (pipe, sleeve, connections, ...) Its diameter for air filter is 37mm (external measurement). This carburetor is certainly not DELLORTO quality but not TNT ... Its finish is smooth and clean. Some reproaches anyway ... non certified parts (sprinklers, needle, ...). Apart from that, we recommend it for those who use their 2 wheels every day. It has a multitude of adjustment: richness screw, idle jet, needle valve, ... An excellent compromise between performance / aesthetics / low price! It is also important to know that all DELLORTO parts are mounted on this carburetor. Delivered as presented, complete. Possibility of depression valve: yes, delivered with shutter.